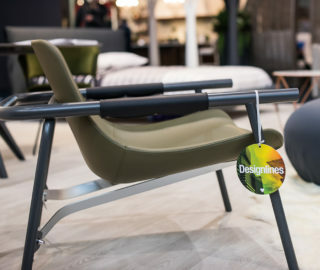 We scoured IDS Toronto and the dozens of exhibitions hosted by DesignTO to identify 10 top emerging furniture, lighting and product designers and makers around the country. Here are our picks. Let us know if we missed anyone by using the hashtags #designlinesmagazine and #dllloves2019 on Instagram. Toronto’s Safoura Zahedi is one of DesignTO’s breakaway voices. 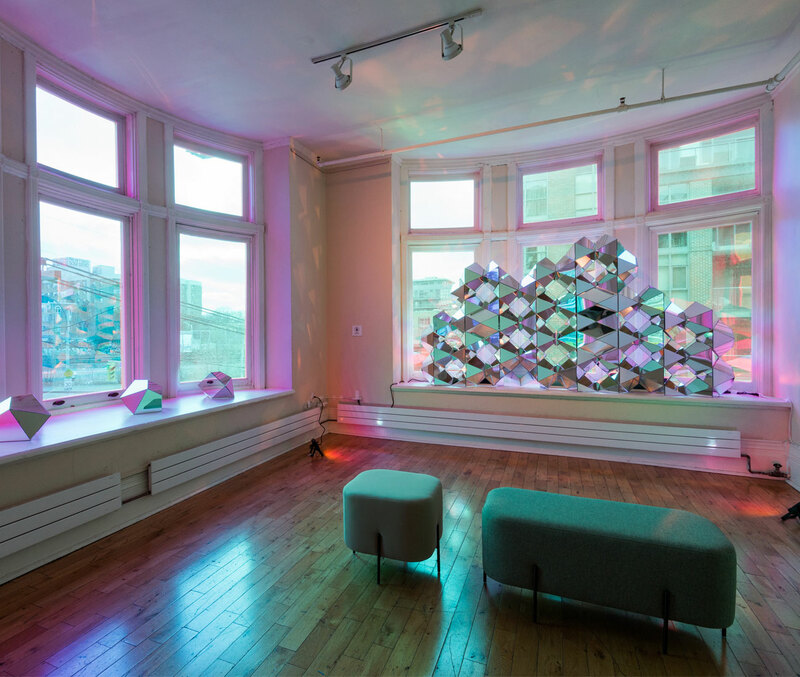 Although the designer and intern architect’s radiant installation, Connect, is part of the Gladstone Hotel’s yearly immersive group exhibition, Come Up to My Room, it will be on view for a full year. 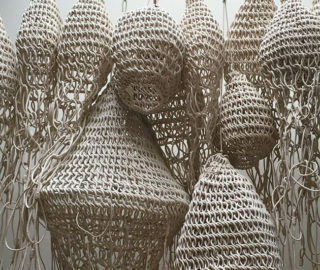 The intervention is part of Zahedi’s ongoing series Beyond the Surface, which explores geometry as a universal design language – multi-faceted, to be sure, but also part of a unified whole. Tea time would be so Zen with a Pokopoko table. 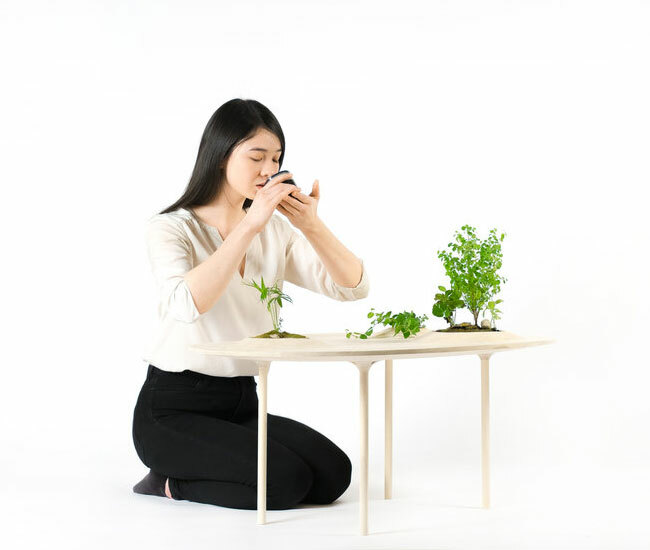 The delicate design – which took the Best Prototype Award and a DL Loves tag at IDS – features a sloping table top integrating little plant mounds. 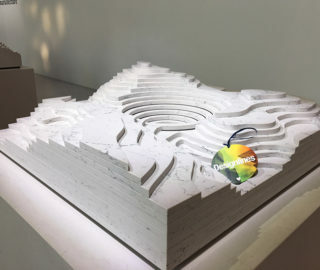 Wooyoo is led by Edward WooHyun Chung and Yunji Chung, who previously worked at a renowned Tokyo architecture firm before launching their Toronto practice. 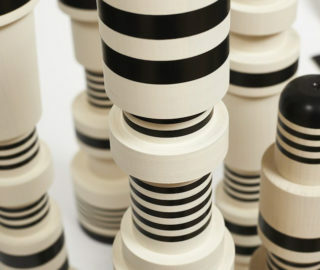 Textile designer Yaw Tony is once again showing why Designlines editors named him one of Toronto’s most creative people. 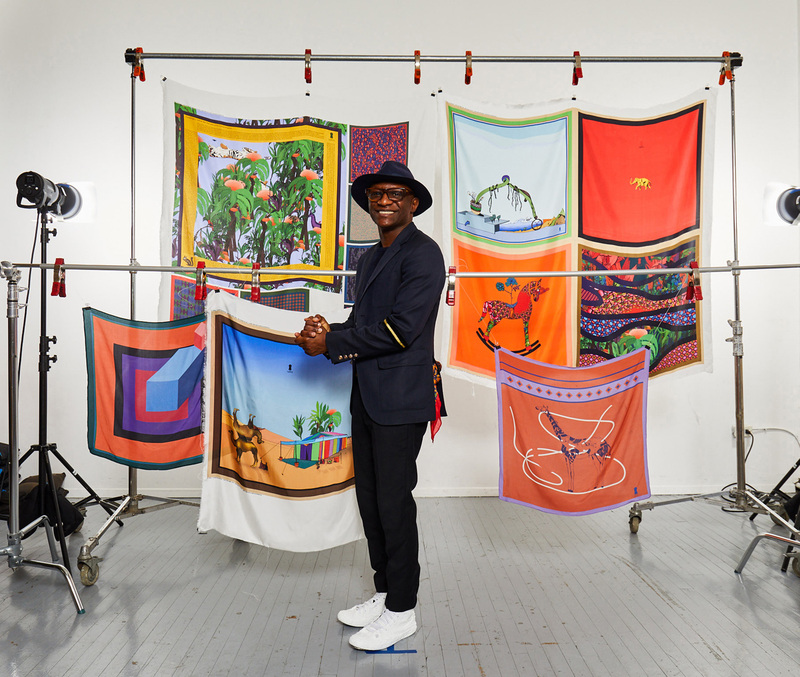 He showed off new items this year at Beauchamp Gallery as part of DesignTO’s newly minted KEDD Night: luxurious silk scarves, printed with such motifs as a swirling flamingo head and a caravan of safari animals. Tony has an uncanny ability to weave graphic patterns, whimsical creatures and a riot of colour into pieces you’ll want around your neck and framed on the wall. The work of industrial designers Marie-Pier Aubry and Maxime Levesque, the duo behind Montreal’s Allstudio, impressed us at two shows this year. 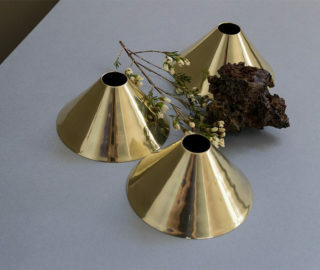 At IDS’s Prototype exhibition, the shapely, hand-spun aluminum Numero 309 planters were awarded one of this year’s coveted DL Loves tags for their generous size and bold colours. 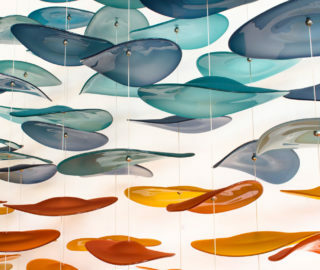 The Pivot lamp, shown above, was a highlight at the Work/Life exhibition at Umbra’s flagship store. Compact and easily transportable, the Pivot light is right on the money and signals this studio’s continued bright future. After graduating last year from OCAD’s Industrial Design program, Claire Hamilton set about solving a common design problem: how to find a good doorstop. Her solution, of course, was to make one herself. 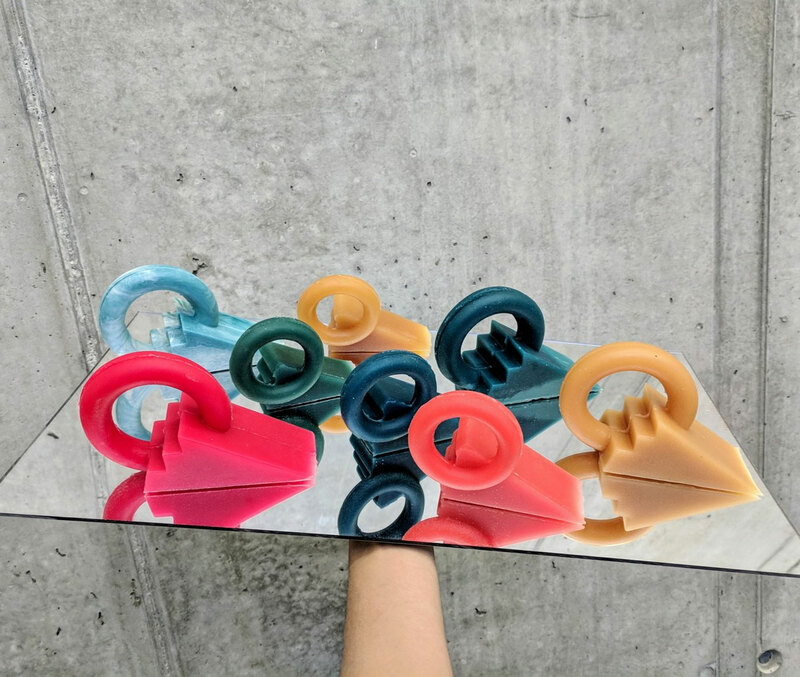 These colourful forms are inspired by “slices of pie and kettlebells” and made from molded polyurethane rubber. You can already see the intriguing shapes propping open doors around the city, including Sam James Coffee Bar. They’re showing this week at Umbra’s Work/Life exhibition as well. 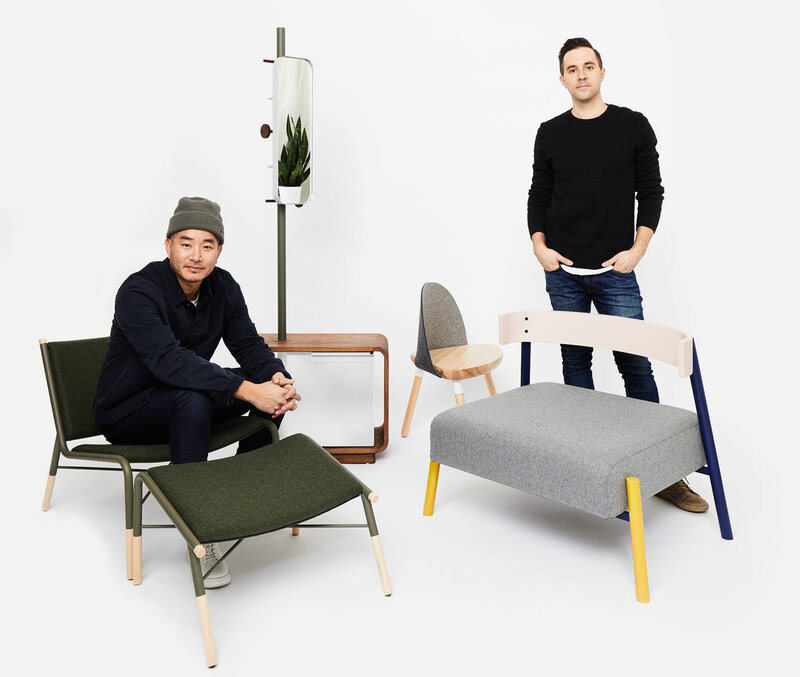 Short for Cofounders and helmed by Desmond Chan and Randy Simmen, COFO introduces Canadian-made home furnishings by emerging designers to the market. 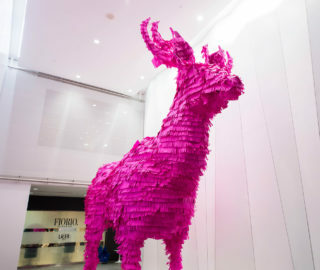 The goal is to champion homegrown talent and innovation, and introduce exceptional pieces – not mass-produced or expendable – to the competitive world of retail. 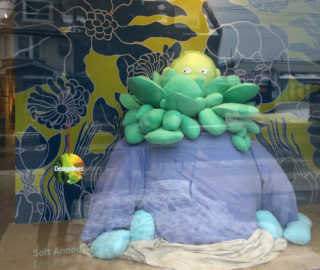 Their debut collection popped up at IDS, the Sub-Zero and Wolf showroom as part of KEDD Night and at another DesignTO exhibition at Area+001 on Ossington Ave. They are already looking for submissions from rising designers for their next collection, which means we’ll be seeing way more of these guys in the years to come. 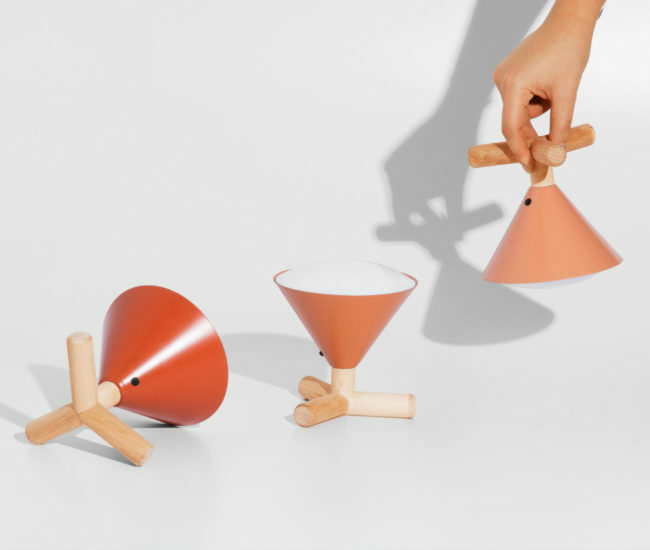 We’ve been following Toronto’s Objects & Ideas for a while and were impressed by their latest collection, displayed in IDS Toronto’s Maker section. 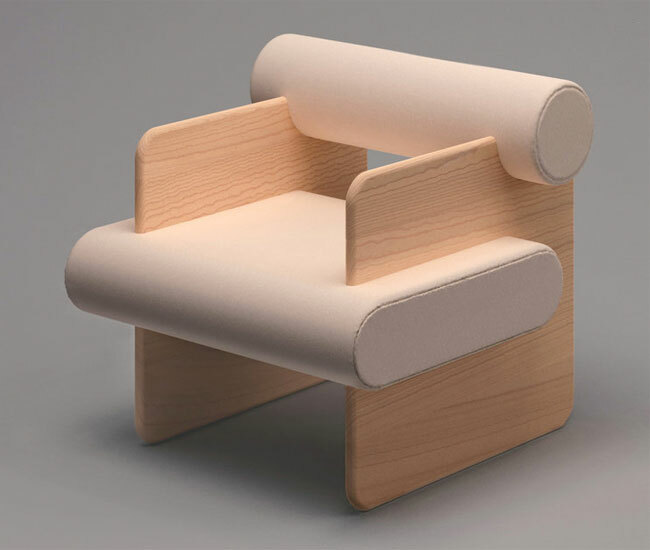 Founders Di Tao and Bob Todd showed off the Paradise Chair and the Aero table, two designs that play with solid wood planes sculpted into rounded forms. 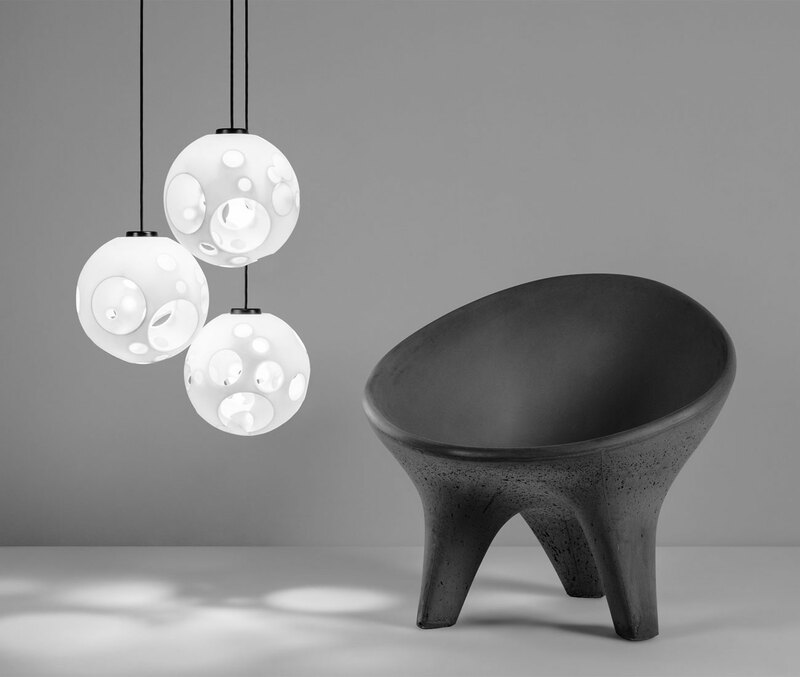 Decimal Made – a Vancouver and Mexico City–based company – caught our eye last year with Alberto Vitelio’s shapely pendant lights 3-D printed out of polyamide. This time around, it earned more attention for its collaboration with Partisans on .015 MoonLight, a luminous orb cratered with numerous holes – a design that could only be realized with additive manufacturing. We’re not over Memphis. 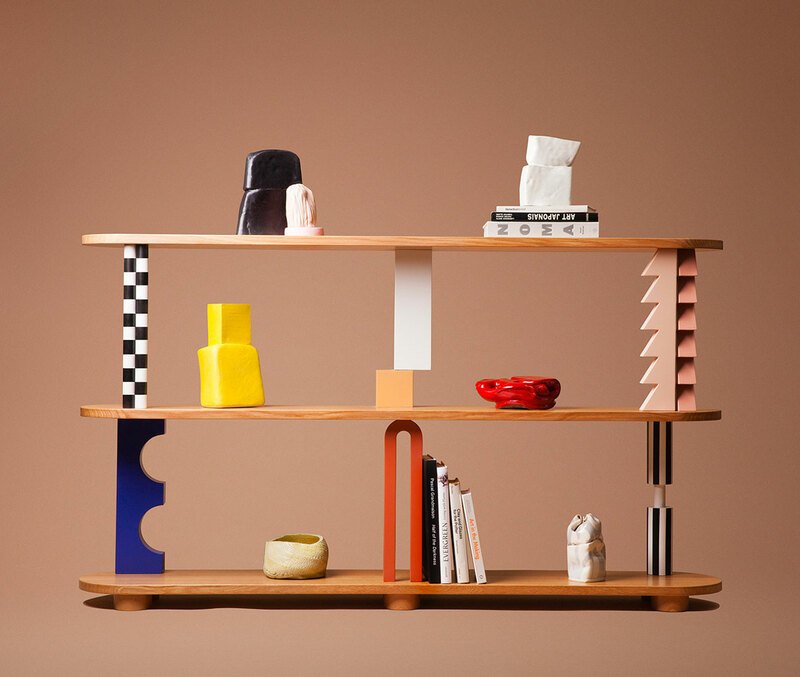 Hence our appreciation for the bookshelf Going Back to Memphis, designed by Montreal’s MPGMB (Marie-Pier Guilmain and Maud Beauchamp). Juxtaposing geometric shapes, patterns and tones, the piece comes in solid white oak and Russian birch plywood. 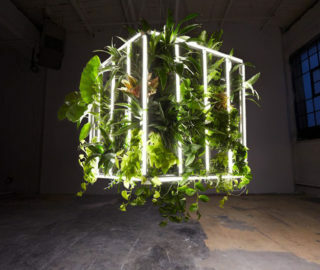 It is part of the Work/Life group show at Umbra, where designers are asked to create prototypes that respond to the blurred boundary between private and office spaces. 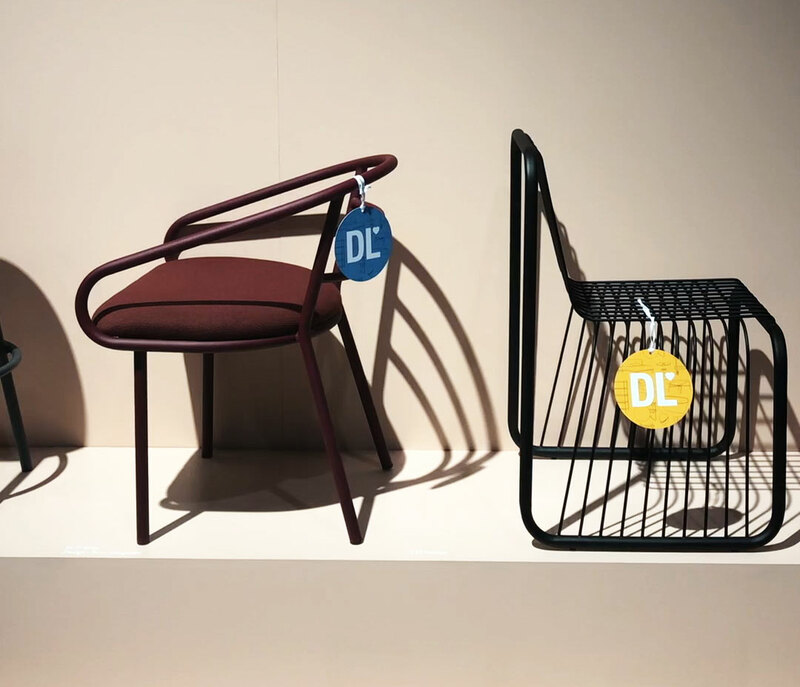 It seems we couldn’t bestow enough love on Edmonton maker Div 12’s new collection, featuring chairs by company head Geoffrey Lilge and designers Lukas Peet, Knauf and Brown and Rainville Sangaré. The tubular steel pieces were shown in a beautiful jewel tones in IDS Toronto’s Maker feature and earned three DL Loves tags from our lovestruck editors.